DAVID LE/Staff photo. 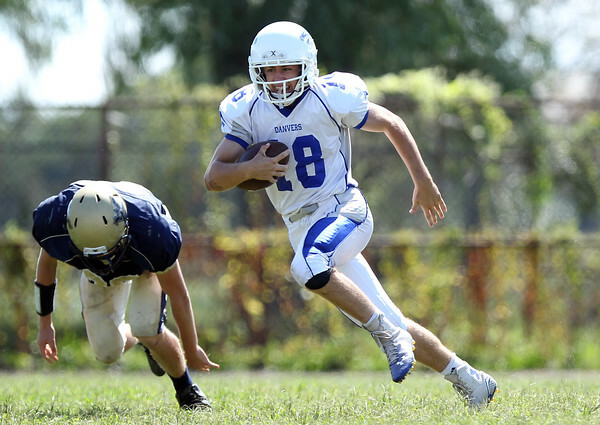 Danvers sophomore quarterback Dean Borders (18) takes off upfield against Winthrop. 9/12/15.